Tiger Zinda Hai 4th Friday (22nd Day) Collection Early Trends. Fabulous Hold. Tiger Zinda Hai is simply unstoppable in start of 4th week also as early trends for the day is coming in. Film faced stiff oppositions in Kaalakaandi, Mukkabaaz and 1921 this Friday but emerged ahead despite having lesser screens. Film is showing fabulous hold right now. Trending is simply extra-ordinary! Tiger 4th Friday (22nd Day) collection is set to be ahead of Kaalakaandi and Mukkabaaz opening Friday. It can even emerge ahead of 1921. 1921 is screened mostly in single screens and its reports will be known bit late. Tiger screening is reduced 60-65% for 4th week. Film screening for week three was around 2300-2400. But it is reduced to 850 approx for 4th Friday. However, good news is because of poor performance of new releases, Tiger screening may be increased a bit for 4th Saturday and 4th Sunday. Despite 60-65% screen reduction, Tiger has shown fabulous hold on 4th Friday. Samples suggest, collection drop on 4th Friday from 3rd Thursday is just around 25-30%. This is outstanding. There is no doubt film will register huge growth on Saturday and Sunday. Tiger has collected nearly 319 crore nett in 21 days. Film is all set to cross 320 crore mark by day 22. Film is all set to cross 325 crore nett by the end of 4th weekend. Film has very good chance of touching or crossing 330 crore nett mark by end of 4th week itself. Tiger Zinda Hai 4th Friday (Day 22) Box Office Collection is 1.50 crore. Tiger Zinda Hai 22nd Day Fourth Week Friday Collections takes the 22 Days Total Business to 320.36 crore. The fourth week has started on a strong note at the box office. Despite strong competition from three new releases and a reduction in show count by almost 60%, Tiger Zinda Hai will still come up as the top film of this weekend. The film is expected to show some strong growth on Saturday and Sunday much like the previous three weeks at the box office. 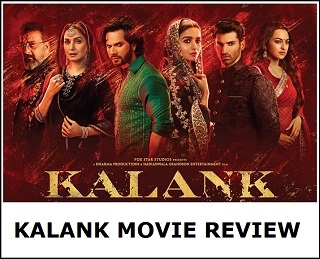 Going by the trends of the previous three weeks at the box office, the film should target 6.5-6.75 crore in the fourth weekend at the box office. 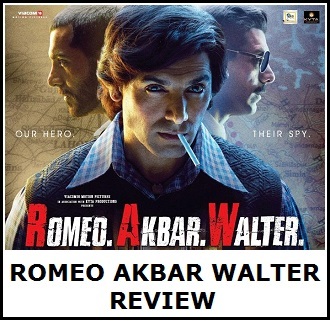 The fourth weekend & week numbers should be among the top 6-7 figures of all time and that is a very strong trend for an action film in its fourth week at the box office. The film has now become Salman Khan’s Highest Grosser beating Bajrangi Bhaijaan (320.34 crore) in 22 days at the box office. Kitna bhi manipulate kar lo pk tak nahi pahunchega Budhha. Lallu fans ko bheek maang kar collections bada ni hogi..
Tere dadaji ka raaj h ?? Amir khan movie works on content. No credit to anir. Konsa rule kr rha h ?? Hahaha....RH or DDlj Gadar....club tere kakaji ne khola h ?? Salman Khan is the also the only Bollywood actor with three 300 crore films. He has delivered it in consecutive years – 2015, 2016 and 2017. If we consider the inflation adjusted numbers of all time, then this might be Salman Khan’s third highest domestic grosser after Hum Aapke Hai Koun and Maine Pyaar Kiya. Purely by the numbers perspective, Tiger Zinda Hai sits on top of Salman Khan’s Highest Grossers. In terms of footfalls, it should be somewhere between Sultan and Bajrangi Bhaijaan though final numbers may vary. Hum Aapke Hai Koun and Maine Pyaar Kiya both have more than 5 crore footfalls at the box office with the former recorded even greater than 7 crore footfalls at the ticket window. Nicely said sunny .. perfect. Ignore haters ..they r street dogs. Amir comes wid d gap of 3 years & bhai delievers blockbuster every year. So bhai Superstar. And Even hats off to Akshay for giving multiple hits. Bcause industry & labour work gets salary. Dangal ko break karne ke liye sallu fans ko aur 5 chance lene padenge..
Kuch sharam bachi hai ya nahi..
Salman movies r script less and still making money and its compared to pk and dangal which was hits due to amazing scripts so don't compare it with salman movies! !salman stardom is bigger than AK. Ha Bajrangi Bhaijaan bhi to bura script me tha LOL. Ha bhai Dhoom3 to class film tha aur Ghajini bhi jo dono hi ATHG the.